What had happened to my beautiful boy? To our family? What did I do wrong? Those are the wrenching questions that haunted every moment of David Sheff’s journey through his son’s drug addiction. David’s story is a first: a teenager’s addiction from the parent’s point of view—a real-time chronicle of the shocking descent into substance abuse and the gradual emergence into hope. Before meth, Sheff’s son, Nic, was a varsity athlete, honor student, and award-winning journalist. After meth, he was a trembling wraith who lied, stole money from his eight-year-old brother, and lived on the streets. With poignant candor, Sheff traces the first warning signs—denial, 3 a.m. phone calls—the attempts at rehabilitation, and, at last, the way past addiction. He shows us that, whatever an addict’s fate, the rest of the family must care for one another too, lest they become addicted to addiction. 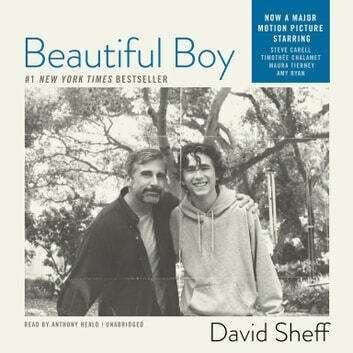 Beautiful Boy is a fiercely candid memoir that brings immediacy to the emotional rollercoaster of loving a child who seems beyond help.